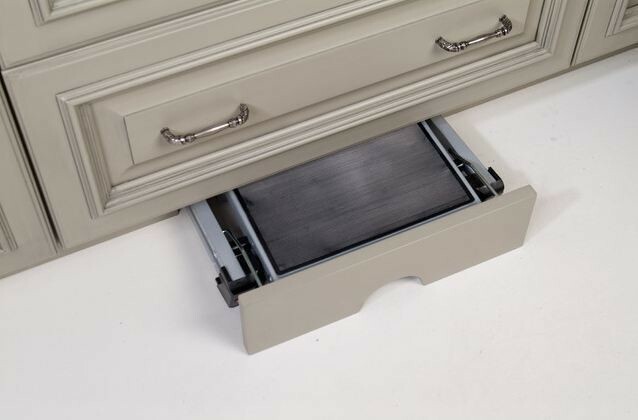 This under cabinet step stool is neatly hidden away - perfectly placed in your kitchen, laundry room or bathroom. Simply pull the stool out from the toe kitck area under the cabinet. Just perfect for those of us who are vertically challenged! Does it expand up to a higher level than what is shown? Retro Fit? - Do these step ladder storage drawers have to be part of a new install, or can you retro fit to existing cabinetry? 9. Built-in step stool. If you have trays or pans stored in tall upper cabinets, consider a built-in step stool for easy access. or should I store trays in the kickplate? for the bakery station?